Richard Kiely is interested in language teacher learning from a sociocultural theory (SCT) perspective: understanding how the TESOL imagination is furnished and refurbished in teacher education courses and through work. The essential features of the language curriculum are forged in large part in classroom interaction, with the contribution of the teacher as the major determinant. English language teaching, language learning, English language teacher learning, academic learning skills. Professor Rea-Dickins has been involved in language testing and assessment research, teacher development and programme evaluations in a variety of English language education contexts world-wide. Before moving to Bristol in 1999, she worked at the Universities of Lancaster, Dar es Salaam and Warwick. Pauline’s research and publication interests in classroom-based assessment are situated at the interfaces between formative language assessment, instructed second language acquisition and language proficiency testing. She also undertakes research into the consequential validity of high stakes language examinations, in particular their impact on student identity, learning and progression. Pauline has successfully supervised 19 doctoral students since joining the University of Bristol, in different areas of Applied Linguistics, in particular language testing and assessment. Helen’s research interests focus on second language acquisition, interlanguage pragmatics (Phd.Bristol 2004), cross-cultural pragmatics and linguistic politeness. Her PhD research investigated ESL learners’ and native speakers’ written and oral responses to discourse completion tasks combining paired verbal report with written production questionnaires. Conference presentations and publications focus on interlanguage pragmatics, variational pragmatics and methodology in interlanguage pragmatics research. Recent funded research projects (Teachers into Researchers) have examined the development of teachers as researchers in contexts of HE. Helen is currently Co-Director of Masters Programmes (with Elisabeth Lazarus) and contributes to postgraduate and doctoral programmes in TESOL and Applied Linguistics in the Graduate School of Education. Helen teaches on the EdD TESOL programme (Language and Communication; Researching Language Classrooms) and co-ordinates the research network ‘Linguistnet’ with Dr Frances Giampapa. Language, Culture and Identity is a collection of papers from the BAAL Annual Conference at the University of Bristol 2005. The thirteen papers, by researchers from Britain and across Europe, represent a range of research orientations within Applied Linguistics which connect in different ways with issues in culture and identity. Two plenary addresses from the conference, by Roz Ivanič and Srikant Sarangi, explore the themes of identity and culture in contexts of learning and of work. Papers addressing language planning and policy issues present recent analyses of francophone identity in Canada and Sami identity in Finland. The issues of culture and identity in writing are explored in different papers from the perspective of identity construction in academic writing, discipline cultures in higher education contexts, the consequences of these for interdisciplinary writers, and how writers construct audience identity though the linguistic choices they make. Empirical studies of language learning and teaching are also represented, with papers on Processing Instruction and Intercultural Pragmatics. 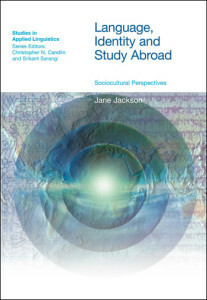 The themes of identity and culture in these papers connect a range of sub-disciplines within Applied Linguistics, and also connect knowledge building in Applied Linguistics with pervasive themes in research across the social sciences, into the ways people as individuals and in communities understand, shape and represent their experiences of learning and work. An introduction to the book. Roz Ivanič is Professor of Linguistics in Education and Associate Director of the Lancaster Literacy Research Centre. Her research interests include writer identity, intertextuality, multimodal communication, writing practices in both academic and non-academic settings and adult literacy. Her publications include Writing and Identity: the discoursal construction of identity in academic writing and, with Romy Clark, The Politics of Writing. She is co-editor with David Barton and Mary Hamilton of Worlds of Literacy and Situated Literacies. 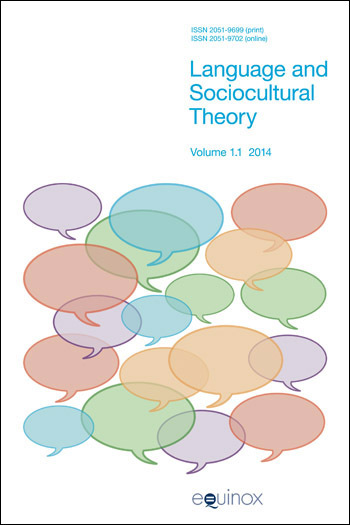 In the first section of the paper Activity Theory is used as a heuristic for identifying the key elements of sociocultural perspectives on language and 8 Language, Culture and Identity in Applied Linguistics learning. The research context is then introduced to exemplify the main argument in the paper: a Food and Drink Service course at a College of Further Education, and one of the students enrolled on it. In the main part of the paper is proposed five aspects of identity which concern language and learning: the relational nature of identity, the discoursal construction of identity, identification, the way in which identity is networked, and the way in which identity is continuously reconstructed. The chapter is concluded by outlining the implications of these aspects of identity for learning and for language learning. Maeve Conrick is Statutory Lecturer and former Head of the Department of French, UCC, National University of Ireland Cork. She set up the MA in Applied Linguistics programme at UCC, with colleagues in the Department of English. She has published widely in international journals and edited collections in the areas of sociolinguistics (French in Canada, language and gender), applied linguistics (French as a second language) and Canadian Studies. She is author of Womanspeak (Mercier Press, 1999) and co-author with Vera Regan of French in Canada: Language Issues (Peter Lang, 2006, forthcoming). Since the introduction of the Canadian Charter of Rights and Freedoms in 1982, provincial provisions on such issues as language rights can be challenged as far as the Canadian Supreme Court. The legal framework in terms of language policy and language planning at federal and provincial levels plays a crucial role in public policy and public debate, with much evidence of tensions resulting from conflicting provisions made at provincial and federal level. This article analyses the outcome of two Supreme Court decisions handed down on 31 March 2005, relating to the controversial issue of access to schooling in English in Quebec, following challenges to restrictions contained in Quebec’s Charte de la langue française (Charter of the French Language), the infamous Bill 101. Hannele Dufva is a Professor at the Department of Languages, University of Jyväskylä. She is currently involved in applying the dialogical theory of language to the research of applied language studies, particularly language learning and language education. Her recent publications include papers on beliefs about language learning, children’s metalinguistic awareness and the dialogical psychology of language. She has also a co-edited (with Pietikäinen and Laihiala-Kankainen) collection of papers on multilingualism and multivoiced identity. Sari Pietikäinen works as a researcher in the Department of Communication, University of Jyväskylä. Her research interests lie in critical discourse analysis, multilingualism in Sami language contexts and revitalising language practices. She has published articles on critical discourse analysis, media representations of ethnic minorities and discursive construction of Sami identity. She is currently working on a project focusing on the empowerment potential of Sami language media. The focus of this paper is to examine forces that may co-exist but work in different, sometimes opposite, directions, thus enhancing either revitalisation or extinction of nine Sami languages. Andry Sophocleous is Lecturer in the Department of Languages at Intercollege, Nicosia. Her teaching covers the areas of Linguistics and English as a Second Language. Her present research is concerned with the language attitudes of young Greek-Cypriots towards the Greek-Cypriot Dialect. Her research interests include diglossia, code-switching, majority-minority language relations and language and national identity. The two language varieties used in the southern part of Cyprus are Standard Modern Greek (SMG), the official language that is regarded as the prestigious form, and used in educational institutions, in the media, in political gatherings, governmental offices, and in the court of law; and Greek-Cypriot Dialect (GCD) which is used in everyday conversation, amongst family and friends, in folk literature and songs, and in political and cultural satire. This chapter discusses how the use of dialect can affect identity. Sue Fraser is a Doctorate in Education student at the University of Durham. She is currently conducting research into the communicative competence of learners of English in high schools in Japan. She has taught at the Institute for Applied Language Studies, University of Edinburgh, where she was involved in teacher-training and materials writing. Her research interests include phonology, discourse analysis, and the use of literature and drama in ELT. Assuming that English is to be taught worldwide to speakers of other languages, discussion centres upon what the purpose of learning English is, and hence what variety/ies should be taught. As the argument for English as an International Language (EIL) gains ground, the central question is which model of English is most appropriate for international communication with global intelligibility. Hilary Nesi is a Reader in the Centre for English Language Teacher Education at the University of Warwick, and is project director for the BASE and the BAWE corpora. Her research interests include the analysis of academic genres, corpus linguistics, learner dictionary design and EAP materials development. Sheena has always valued the synergies between teaching and research; her research not only focuses on educational practices but also informs her teaching. Her more than 70 publications include teaching materials, and internationally refereed journal articles in TESOL Quarterly, Language and Education, Language Awareness, Language Teaching Research, English Language Teaching Journal, TESL Canada Journal, Journal of English for Academic Purposes and the International Journal of Bilingual Education and Bilingualism. As part of an ESRC funded project entitled ‘An investigation of genres of assessed writing in British Higher Education’ we have been conducting semistructured interviews with academic staff responsible for course planning and assessment at undergraduate level, to discover views on the types of assignments students are required to write, perceptions of the differences between assignment types, and the qualities valued in student writing at various levels. Bojana joined the department in 2007 to teach modules in applied linguistics such as foundations of ESP/EAP, professional communication, and intercultural communication. Previously she taught at Novi Sad University (Serbia), Central European University (Hungary) and Eötvös Loránd University (Hungary), and participated in numerous EAP projects as course designer and teacher in Hungary, Russia, Serbia and Turkey. She has published papers on academic writing, specifically on students’ citation practices, plagiarism, writer voice, and interdisciplinarity, in journals such as Journal of Second Language Writing, Written Communication, Language Teaching, English for Specific Purposes, Journal of English for Academic Purposes, The Writing Center Journal, and System, as well as in edited volumes, such as English as an international language: Perspectives and pedagogical issues (2009) edited by Farzad Sharifian, Constructing interpersonality: Multiple perspectives and applications to written academic genres (2010) co-edited by R. Lorés-Sanz, P. Mur-Dueňas, and E. Lafuente-Millán, and Crossed words: Criticism in scholarly writing (2011) co-edited by F. Salager-Meyer and B. Lewin. She has also published a book on educational reform (A glossary of the educational reform, 2006 [in Serbian]). She was the Deputy Chair of the European Association for the Teaching of Academic Writing (EATAW) from 2009 to 2011, and is currently a member of the Board (2013-2015). She is on the editorial board of the Journal of English for Academic Purposes. in writing, discourse analysis and the discoursal construction of writer/reader relationships in student academic writing. This research reveals that students’ texts contain interesting and often unexpected linguistic strategies, which reveal varied, complex but nevertheless successful encounters between writer and audiences. Maggie Charles is a Tutor in English for Academic Purposes at Oxford University Language Centre, where she teaches academic writing to postgraduates. Her research interests are in the study of evaluation, phraseology, discipline-specific EAP and the application of insights from corpus linguistics to the teaching of academic writing. She has recently published papers which take a corpus approach to the analysis of stance and the use of citation in theses. In this study the major focus is on the use of impersonal patterns. It is argued that although non-native speakers may indeed construct less powerful and overt identities, this does not necessarily imply that the use of impersonal forms obscures a writer’s identity completely or leads to a text that is lacking in authority. Indeed it would suggest that all academic writers, whether student or professional, need sometimes to obscure and sometimes to reveal their identity within their texts. Doris is Lecturer in German and Programme Director for MA progress in Intercultural Communication with International Business and Communication and International Marketing. She is teaching the following modules: Intercultural Communication (UG), Professional Communication (UG/PG), Teaching Professional Communication (PG), German Business Environment (UG). After gaining an MA in Germanic and Literatures from the University of Kansas, Doris completed a PhD in Applied Linguistics at the University of Southampton. Before joining the University of Surrey in 2008, she worked as German language tutor and lecturer at the University of Kansas, the University of Science and Technology Shanghai, the University of Southampton and the University of Plymouth. This chapter uses data from a current study of undergraduate students of German to show how second-language (L2) learners of German do facework in argumentative discourse and explores the impact the psycholinguistic processing implicit in this facework has on their performance. The aim of the present study is to compare the effects of two instructional treatments Processing Instruction, PI and meaning output-based instruction, MOI delivered via isolated computer terminals in the acquisition of Italian subjunctive of doubt. This chapter is primarily intended as a necessarily selective appraisal of two complimentary fields of research – applied linguistics and professional discourse studies – with a special reference to the healthcare setting. Language, Culture and Identity is a collection of papers from the BAAL Annual Conference at the University of Bristol 2005. The thirteen papers, by researchers from Britain and across Europe, represent a range of research orientations within Applied Linguistics which connect in different ways with issues in culture and identity. Two plenary addresses from the conference, by Roz Ivanič and Srikant Sarangi, explore the themes of identity and culture in contexts of learning and of work. Papers addressing language planning and policy issues present recent analyses of francophone identity in Canada and Sami identity in Finland. The issues of culture and identity in writing are explored in different papers from the perspective of identity construction in academic writing, discipline cultures in higher education contexts, the consequences of these for interdisciplinary writers, and how writers construct audience identity though the linguistic choices they make. Empirical studies of language learning and teaching are also represented, with papers on Processing Instruction and Intercultural Pragmatics. 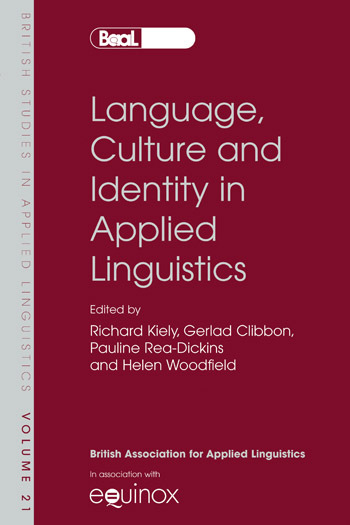 The themes of identity and culture in these papers connect a range of sub-disciplines within Applied Linguistics, and also connect knowledge building in Applied Linguistics with pervasive themes in research across the social sciences, into the ways people as individuals and in communities understand, shape and represent their experiences of learning and work. Details about the contributors to this book.